Yesterday Dazed TV premiered Pierre Debusschere's new film from his Raf Simons anniversary special in Dazed & Confused's January issue. Here, Dazed Digital brings you more images images captured by the fellow Belgian, together with Dazed's Senior Menswear Editor, Robbie Spencer. As Simons celebrates 15 years in the fashion industry, Pierre and Robbie shot parts of his archive in homage to Raf Simons. Accompanying the images in the magazine is Jo-Ann Furniss' in-depth and personal interview with Simons, and a handful of quotes from friends and colleagues. The testimonial statements are here presented, with an additional one from long-time collaborator and legendary Factory Records art director, Peter Saville. 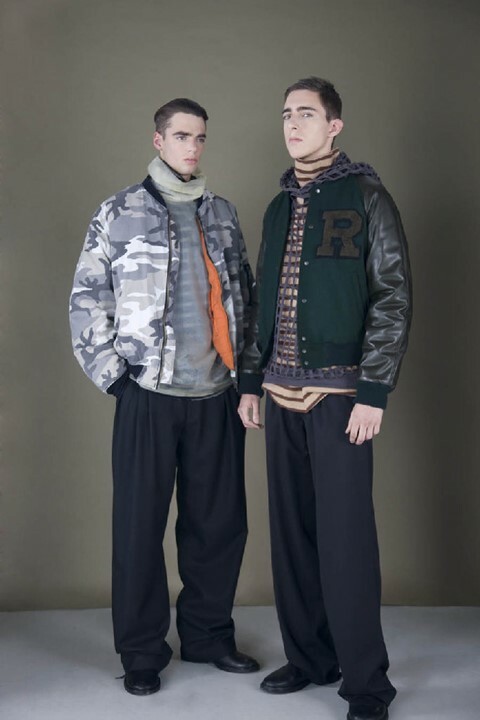 "Raf is one of the great pioneers of convergence, transporting the art of sub-cultures into contemporary fashion"